15 | Agosto | 2015 | Sana Ako si Ricky Lee! 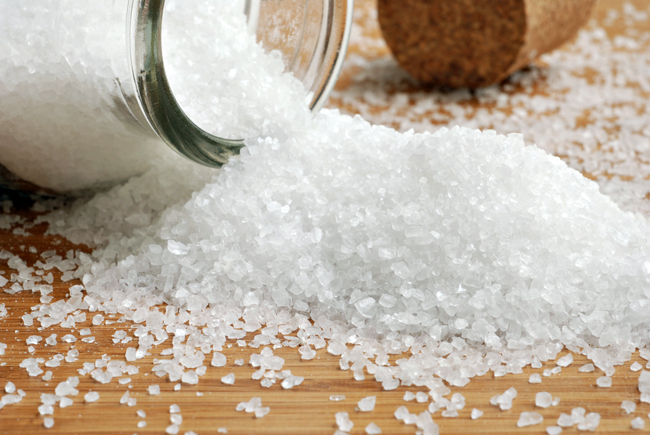 Myth Buster 31: Putting Salt Inside or Around the House During Hungry Ghost Month Will Create Bad Luck! There is a pervasive belief amongst newbie Feng Shui practitioner and even some Feng Shui ‘experts’ that putting salt inside or around the house, even outside the house during Hungry Ghost month will bring bad luck because you will anger the Hungry Ghost. Is there truth to this? The answer is Yes! Putting salt inside or around your house during hungry ghost month will bring bad luck because this might anger the Hungry Ghosts if not done properly. However, if done properly this will surely protect your house and yourself from feeling some of the negative effects of the Hungry Ghost month. Simply putting salt without proper ritual will definitely anger the Hungry Ghosts and you or the occupants of the house might be subjected to their attack. Remember, most of us can’t talk to these spirits, so what we do our actions are sort of our communication with them, putting salt inside our outside around the house is like saying to the Hungry Ghost, “You are negative energies and I don’t like you here so I’m driving you away!” It will then become a battle of who is stronger. Your house might be protected with a lot of charms and amulets but it is not good to challenge them. So we shouldn’t put salt inside or around the house during the Ghost Month? Not putting these protective tools like rock salt or sea salt or Pink Himalayan Salt is like opening your house to bad people or robbers that might cause harm to you. The key here is to do it properly. You should do the rituals discussed in my post called – RITUALS TO APPEASE AND PROTECT ONESELF FROM THE HUNGRY GHOSTS. Take note of the special offering of food to the hungry ghosts, then that’s when you put the rock salt or sea salt. By doing this, in effect, what you are telling the Hungry Ghosts is that “I know you are hungry that’s why I’m feeding you. I know about your existence and your needs, but you are only welcome up to a certain point and I can protect my house and myself from you.” By properly doing it, you will send a message to the Hungry Ghosts that you know what you are doing and they wouldn’t dare attack you. It is also good to keep yourself really protected by putting some special amulets that works for this season, which is wearing an image of Chung Kwei, that is made of a real black stone like onyx or tourmaline or jade (although a black jade can be quite rare), or Vajrapani Ruel or Surangama Mantra Amulet. Each member of the family having this protective cure is the most ideal situation, if not, you can hang one near your door. You can read other posts about the Hungry Ghost Month by clicking here.